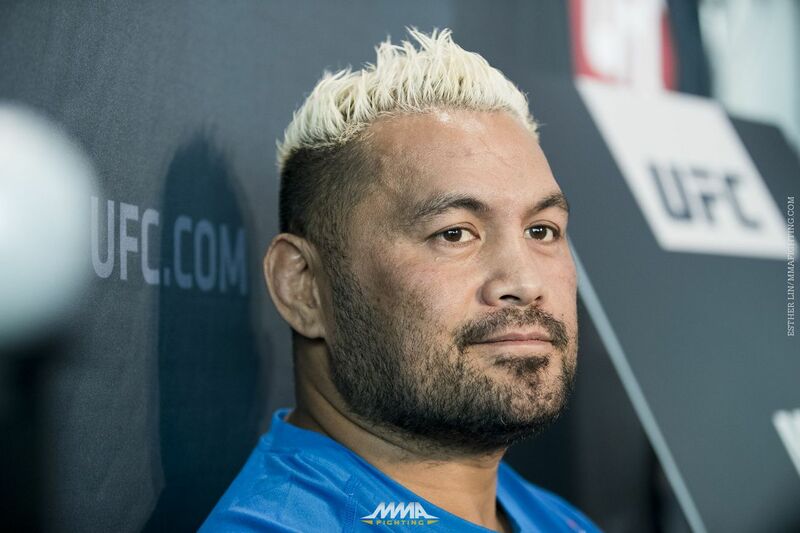 Earlier this year, Mark Hunt faced off against Alistair Overeem at UFC 209 amidst a sea of controversy regarding Hunt’s relationship with the UFC. At the time, Hunt was — and still is — in the midst of taking the UFC to court over the way the promotion handled Brock Lesnar’s entry into UFC 200 and subsequent drug testing failure. Hunt spent much of the lead-up to UFC 209 heavily criticizing the UFC while repeatedly pointing out how the organization matched him up, once again, against a foe with a murky history of PED use in Overeem. Ultimately, Hunt lost to Overeem, falling via third-round knockout after eating a series of hard knees to the head. And while Hunt took the loss in stride, something stuck out to him that only further incensed his anger towards his employers. Post-fight, UFC president Dana White revealed that Overeem had been administered an IV after being taken to the hospital prior to UFC 209 due to an alleged bout of food poisoning. And that was news to Hunt. The use of IVs is banned both by the Nevada Athletic Commission and USADA, the UFC’s anti-doping partner. That being said, an exception can be made to permit IV use without a therapeutic use exemption in the event that an athlete “has an acute medical condition where an IV line was essential for treatment in a hospital admission, surgical procedure, or clinical investigation,” according to USADA guidelines. Overeem said afterward that he and his team “really did our homework” and cleared everything with USADA before being administered the IV. But according to Hunt, the 43-year-old “Super Samoan” only found out about his foe’s situation at the same time everyone else did — after the fight. Hunt said he doubts Overeem was actually sick. “I would’ve told him to toughen up. F*ck. Toughen up, mate,” Hunt said. “He didn’t look sick when he got to the fight. He looked like he was pretty hydrated there. Altogether, the situation left a bad taste in Hunt’s mouth, especially after fighting a quartet of opponents consecutively who either failed drug tests immediately after the fight or possessed muddled PED pasts. “Normally, a loss, it’s hard to swallow but you get over it sooner or later. But it is what it is,” Hunt said. “He got away with cheating and that’s it. He got away with it, so good on him. He didn’t get caught, they gave him help. Well f*ck, you’re still a cheater to me. Hunt is now 0-1 with one no-contest over his last two outings, a slump that snapped a two-fight win streak that saw Hunt score back-to-back first-round knockouts over Antonio Silva and Frank Mir. But the rough going isn’t discouraging the heavyweight legend — Hunt fights again this weekend against rising contender Derrick Lewis in the main event of UFC Fight Night 110. And considering Lewis’ clean drug-testing history, the opportunity is a welcome reprieve from Hunt’s recent slate of opponents.